What does it take to graduate from university? Take a couple of classes, write some papers and pass the exams with decent scores? That's all you need, right? Well, not if you're a student at Tsinghua University, one of China's most prestigious universities, known as the Harvard of the East. This year, students are literally finding themselves swimming toward their bachelor's degrees. 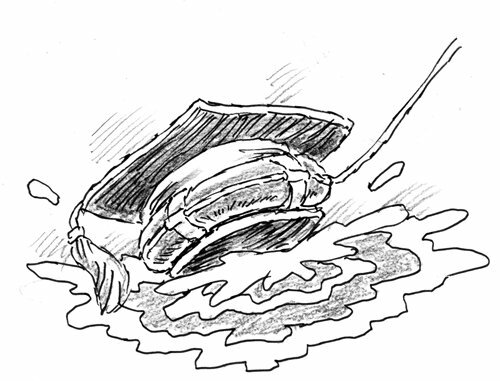 According to a new rule, it is mandatory for freshmen at Tsinghua to take swimming courses. They will not receive their degree until they pass a swimming test. This has caused many to raise their eyebrows. "Is this top university going to create an Olympic swimming team?" One netizen mocked. Some questioned, as Tsinghua's mission is to cultivate the nation's top minds, should swimming be a necessary skill? Their concern is also focused on the "arbitrary" nature of the rule, since no one wants to do things that they are forced to do. Sports in China have long been criticized for being used by the country to gain international political clout rather than activities for the citizens' personal pleasure. But things are changing in recent years. Although people do not like nationwide campaigns to boost certain sports such as soccer, which is the cause of deep concern and great fury for the Chinese, some sports have taken off with gusto under government efforts. With five years to go before the 2022 Beijing & Zhangjiakou Winter Olympics, public participation in winter sports has grown dramatically around the Chinese capital. This has gradually changed foreigners' perception of China, which is not known for its winter sports tradition. At the national level, China is not a strong country in swimming. People began to see hope when Olympic debutant Liu Zige won gold in the women's 200-meter butterfly final at the Beijing Games in 2008 and Sun Yang won a gold medal in the men's 400-meter freestyle at the 2012 London Olympic Games. But Western media such as the USA Today were quick to point out that despite Olympic medals, few Chinese know how to swim and drowning is a common cause of death. According to government figures, about 60,000 people drown in China every year, not including those who die in floods or accidents at sea. At the individual level, it might be embarrassing for a Chinese landlubber who finds himself surrounded by a group of muscle-flexing Western guys who see swimming a piece of cake. Last year, my friend and I went to Phuket for a holiday. Like most of Chinese tourists who have no experience on the sea and are not strong swimmers, we just stayed on the long-tail boat and watched our European companions jump freely into the water and explore the spectacular scenery under the sea. We sensed that these Europeans watched us with surprise, if not contempt. Even if we don't care whether our country is doing great in swimming or not, our pride reminds us that we should be on an equal footing with Westerners in this regard. Chinese universities are not the only education institutions that have a love for swimming. At the beginning of the 20th century, US universities also required graduates to master basic swimming skills. During WWI and WWII, universities served as military training bases. Now, many US colleges still encourage students learn how to swim, as they put it, "anything that prevents people from dying needlessly is a valuable skill." So why make a fuss about Tsinghua's decision? Just take this chance to equip yourself with one more life-saving ability.